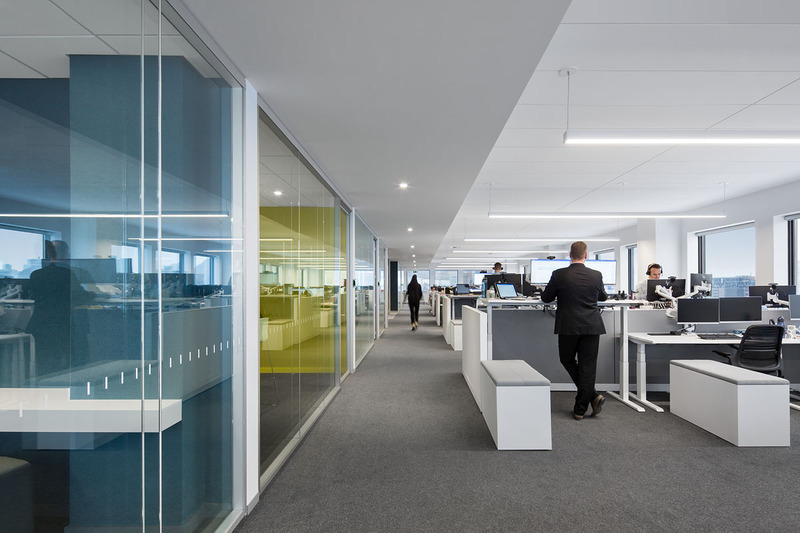 P + R Desjardins Construction just completed the development of the executive floor of WSP Global Group Inc. 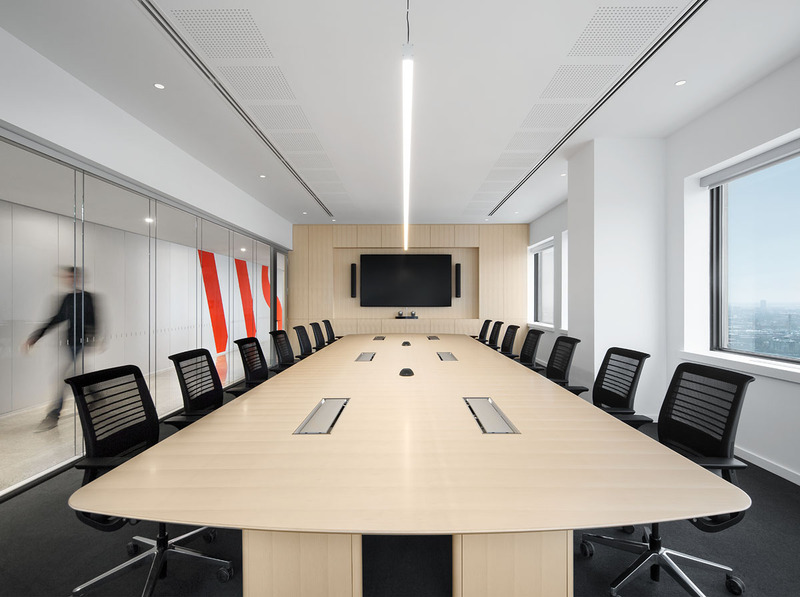 Primarily recognized by its WSP brand; they are a world-renowned engineering consulting firm employing roughly 42,000 people. 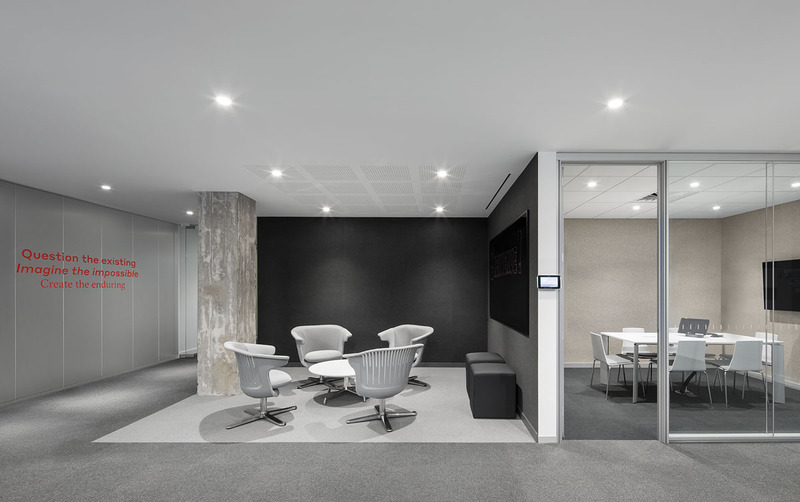 WSP chose to house the heart of its organization on the 13,000 square foot 18th floor of 1600 René-Lévesque Boulevard West in Montreal, where they plan to occupy 7 floors. 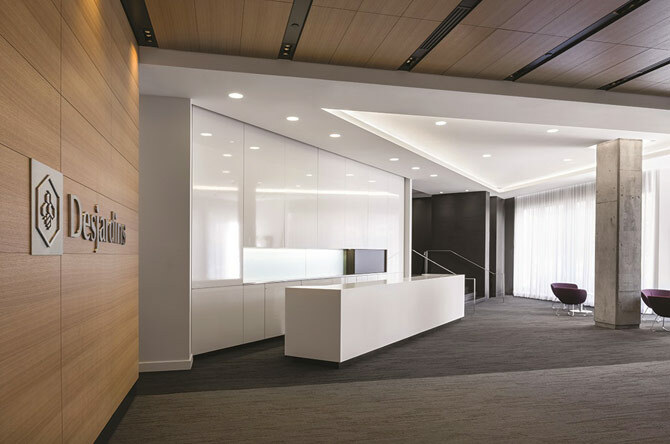 To do so, they entrusted the design mandate to Architecture 49 inc. who, with a young and dynamic team, produced a non-typical concept with new flavors and using materials requiring extremely precise installation. 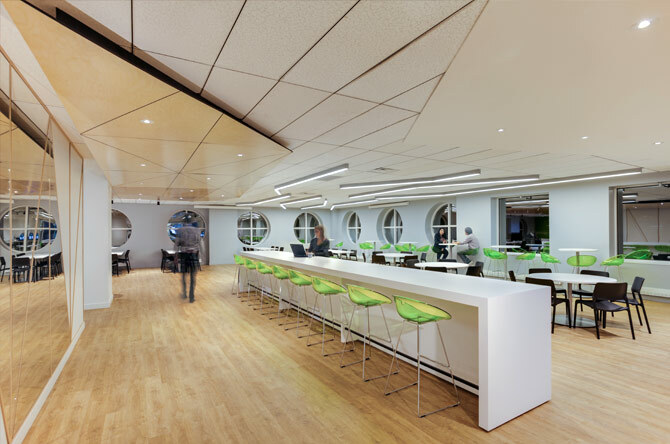 The product delivered highlights the elements of the building’s structure as well as the mechanical systems; a nice nod to the contribution of engineering in the working environment of the occupants. 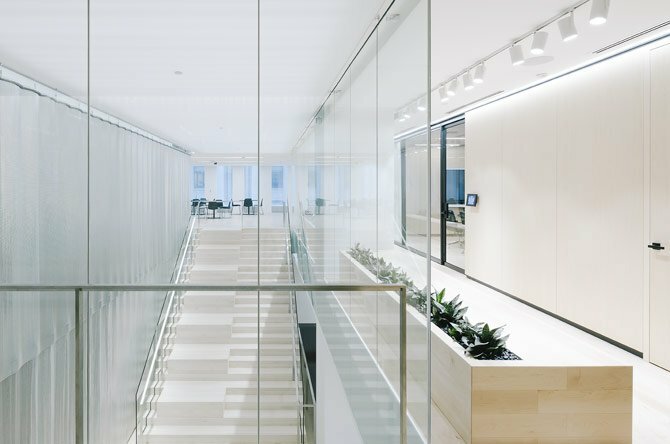 Our presence in the building is the result of the confidence from Bentall Kennedy who also mandated us to fit-up the main lobby of the building and the public spaces adjacent to WSP’s premises. 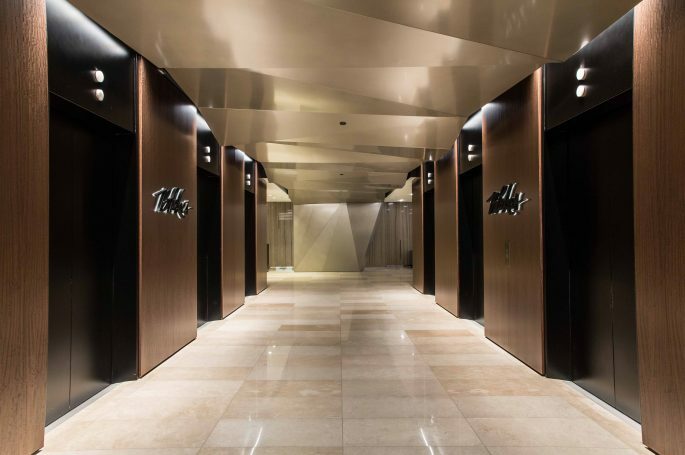 Atelier MMR, our millwork department, also leaves its imprint on the project. 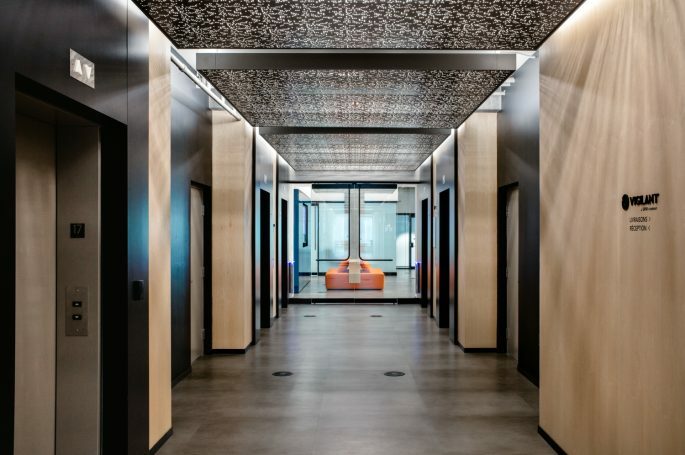 They realized not only all the woodwork, but also all of the anodized aluminum panels that are part of the project’s signature.